​Social Coordinator: Sonia and Carl T.
click image to enlarge, SCARY!! 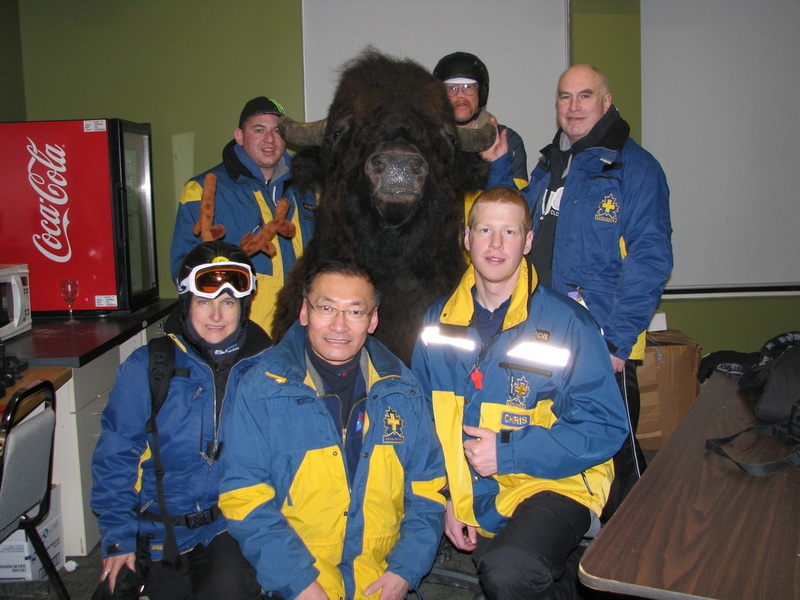 This page contains information for members of the Fort McMurray zone ski patrol group. To view the sub-pages in this section, you will require a login password. If you require the password, please send an email to Wayne ( wayne.fmcsps@yahoo.ca ). The Fort McMurray zone ski patrol group provides volunteer patrol at Vista Ridge ski hill on Friday evenings and during the day on Saturday and Sunday. At times we are asked to volunteer our services on holidays and special events. We require all patrollers to roster at least 3 shifts a month as a minimum. You are also welcome to patol more or just come out for the day to enjoy a day of skiing or snowboarding. During the Summer, we also provide first aid services for some non-ski events, such as the Kids of steel triathlon and the Fort Mcmurray marathon.